May just become the "Metal Album Of The Year" ... and well deserved that would be. 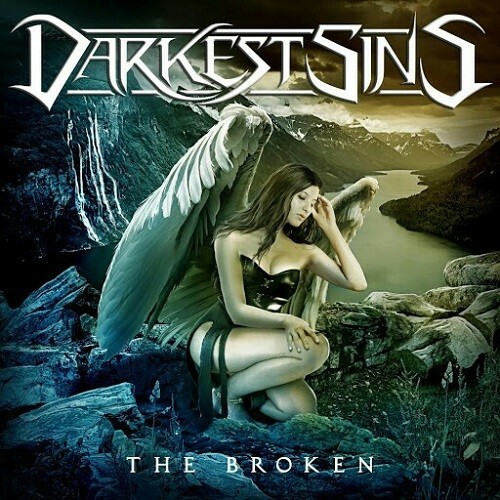 As I began my interview with Marius Danielsen*, one of the founding members of Darkest Sins, this Norwegian five-piece may have been Norway's best kept secret for several years... until now! 'The Broken', the group's debut, is about to set the musical world of Progressive Symphonic/Power Metal ablaze! With both founding members, Marius and Anniken Rasmussen, sharing the lead vocals equally, the band have created a unique signature of powerful, melodic and muscular Metal. Joining this masterful duo are Sigurd Karstad on guitar and Ludvig Pedersen on drums with keyboardist Peter Danielsen also doubling up on orchestration. These five have created memory-making expressions of Metal and Rock that constantly draws you into the Progressive Rock plateaus they work in. Creating a thunderous wave of molten musical rivers, the music is powered by the passionate twin guitars of Marius Danielsen and Karstad, with high-octane fuel injected by the keyboard wizardry of Peter Danielsen. Although the vocals are shared, both Marius Danielsen and Rasmussen, lift each song to the highest of heights and in perfect harmony, all the while Rasmussen and Ludvig create the grounding with their amazing rhythm section of bass and drums. Each and every song on this album is a show-stopper! 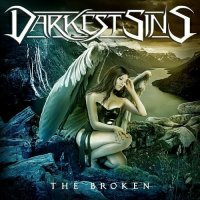 Seeing 'Darkest Sins live would be one's highlight of the year! We have eight slices of melodic music that ooze molten Metal into Rock progressions that are absolutely commanding. Tempered by a vocal harmony, these performances are uplifting and soar to grand heights. Promoted as a Power Metal group, they consistently go beyond that guidepost. Their individual influences give rise to a varied expression of music and one they are capable of exploring without limitations. We hear nothing but high energy on this debut – high energy delivered with high talent! A recording so full of potential and depth that we know that we are hearing only the tip of the iceberg! 'The Broken' may just become the (in my opinion) "Metal Album Of The Year"... and well deserved that would be!